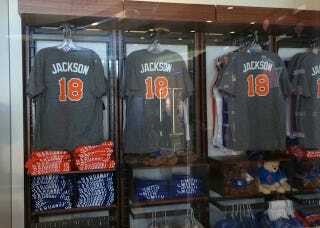 Phil Jackson's introductory press conference is just underway at MSG, and the Knicks are already pushing Jackson shirseys in the team store. Who wouldn't want to wear Jackson's iconic No. 18? The man averaged 6.8 points and 17.7 minutes per game during his Knicks career. He's a New York legend!